Colors and Fonts… What a challenge! 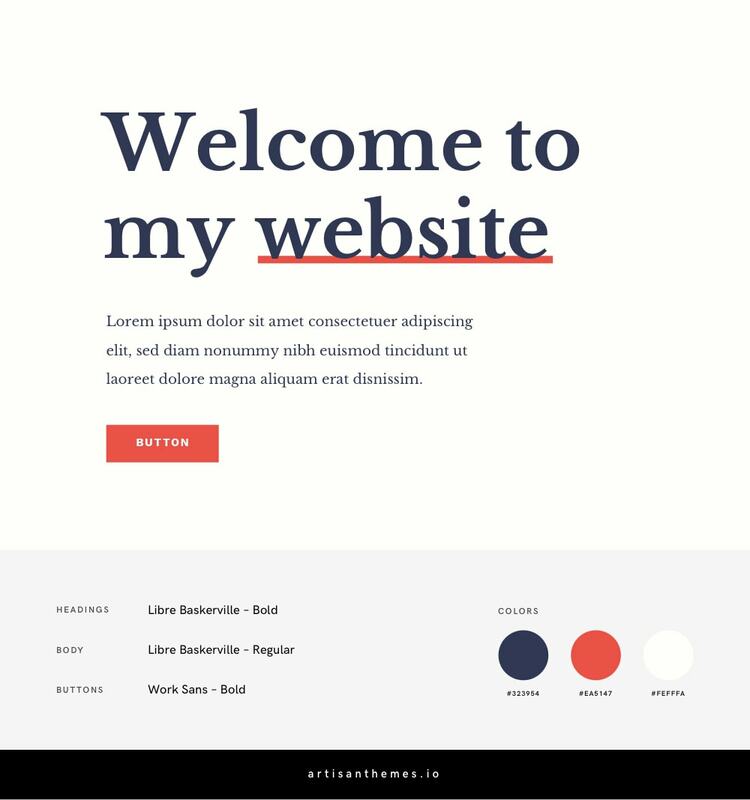 If you’re building your own website and you’re not an experienced designer, you’ve probably already noticed that fonts and colors are a huge deal. 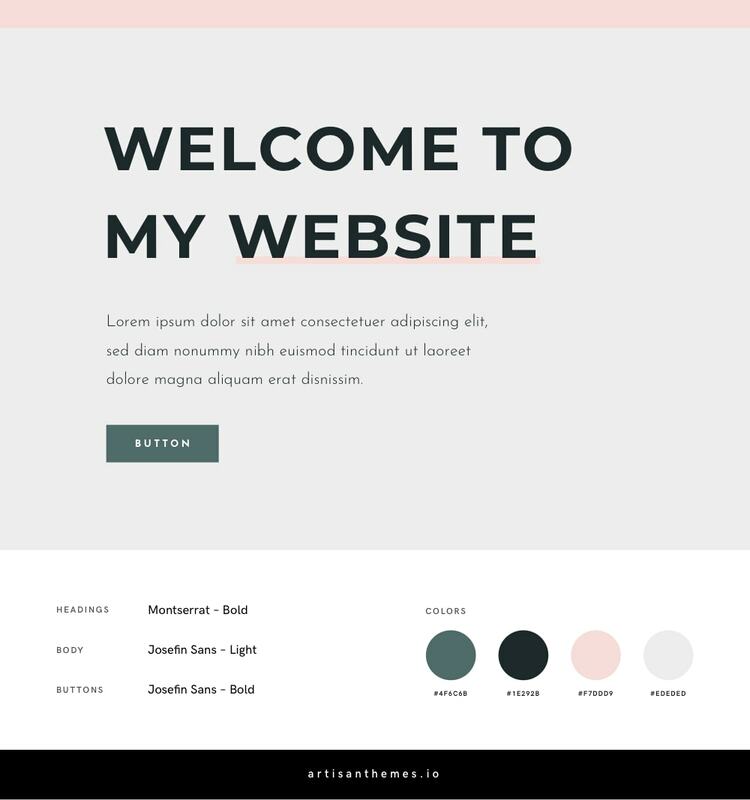 How do I choose the perfect font combination and the right color palette for it? How do I put colors together? Is that font a good, solid typeface? Will these fonts and colors really represent my brand? I get your feeling. It’s confusing and overwhelming. Fortunately, there’s no need to reinvent the wheel. 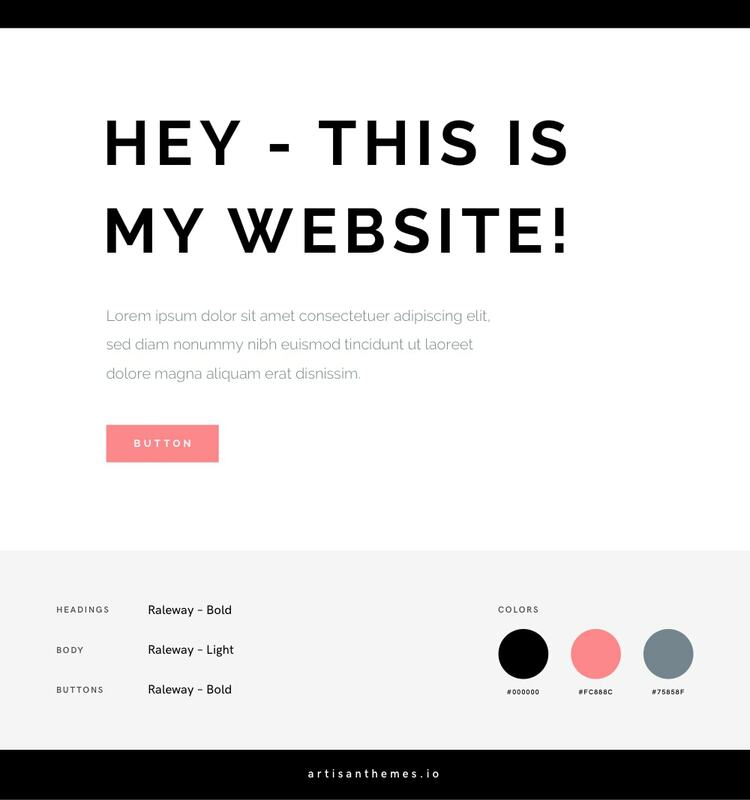 If you won’t be coding your site from scratch, then why would you design your brand from scratch? 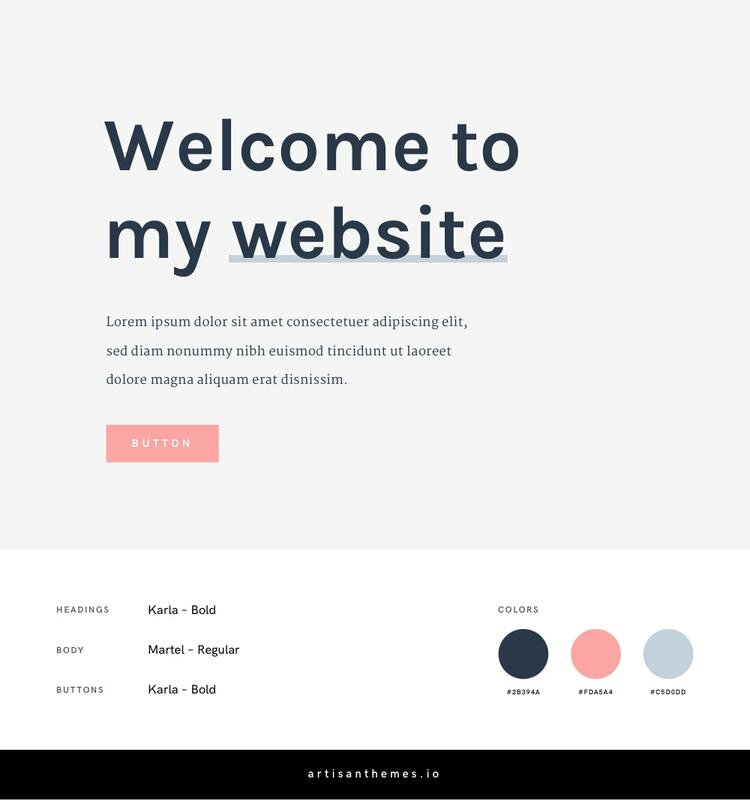 If you want to make sure your design will work, the smartest thing you can do is look for inspiration and rely on already created font combinations and color palettes. Each one is like a toolkit, with style guides you can use to actually build your brand. Feminine can mean delicate, elegant, romantic, but also vibrant, strong and powerful. 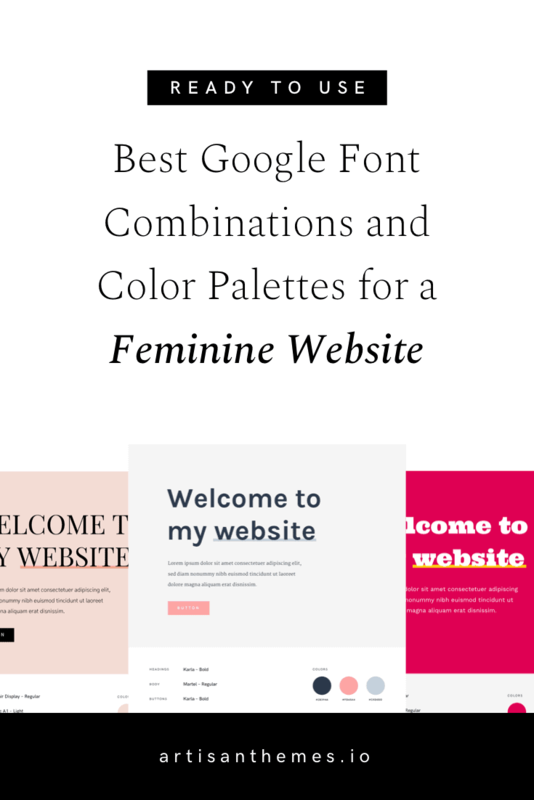 I put together a highly versatile collection of font and color combinations that can serve any kind of feminine modern websites. If it’s for your personal brand, your blog, your business, an organization or an online magazine, you’ll find in these ideas the perfect match for your project. 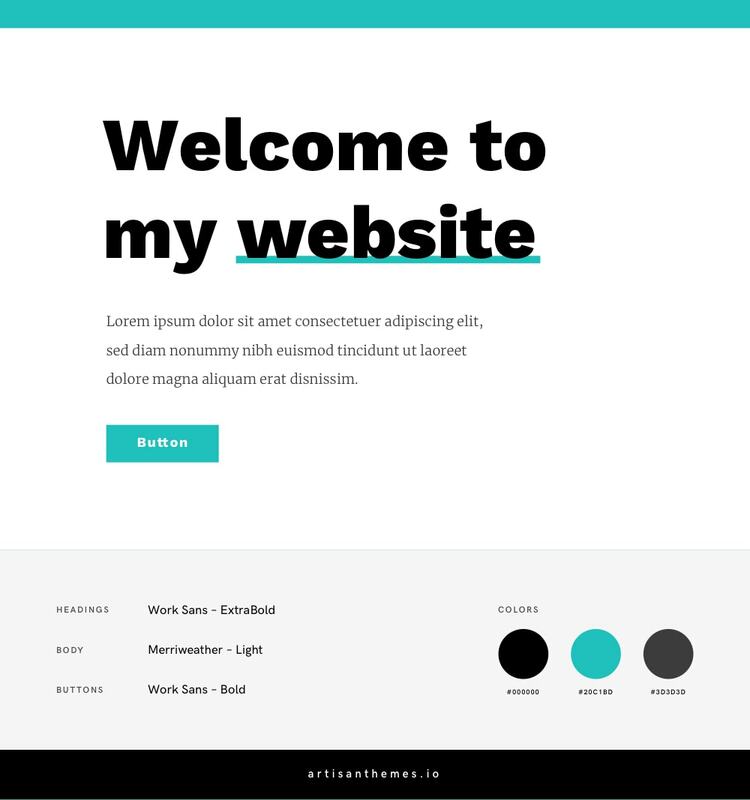 → If you’re using one of our WordPress themes, then all you need to do is go to Theme Options » Typography in your dashboard. You’ll find a dropdown menu for the Headings and another one for the Body font. That menu offers you all available fonts from Google, so just choose the one you need and click Save. After that, go to the Design tab in Theme Options and copy-paste the color codes you liked into the Color Palette option. Now these colors will be available for you to use every time you see a color picker in your Artisan theme. You’ll find both the embed code and the CSS code below each combination, so you can copy-paste them to your files. Our first combo is a pretty delicate yet cheerful one. With a grotesque sans serif typeface for the headings, a refined serif body font, and pastel shades in the palette. This is the combination you want if you’re looking for a clean, light and friendly style. This one is chic and vivid. With a monochromatic color palette and a modern & traditional contrasting font blend. It gives a sense of a smart and authoritative brand, with refined touches and strong choices. If you’ll go with this one, try using mostly black and white and then introducing the green shades only where necessary in very small quantities. This will help to maintain the authority concept. The chic feminine combination by excellence. Black, white and a rich pink. With the geometric and cool Raleway used for both the headings and the body text. * See this combination in action on this Artisan Site for a female entrepreneur by Artisan Themes: Coach. Bonus: Download the 7 ways guide to a professional website and make sure your website makes your business look good! Looking for the classic feminine-fashion-chic kind of style? Then this is the one you should choose. The beautiful Playfair Display font in all caps together with the black and pink shades, make all the magic. 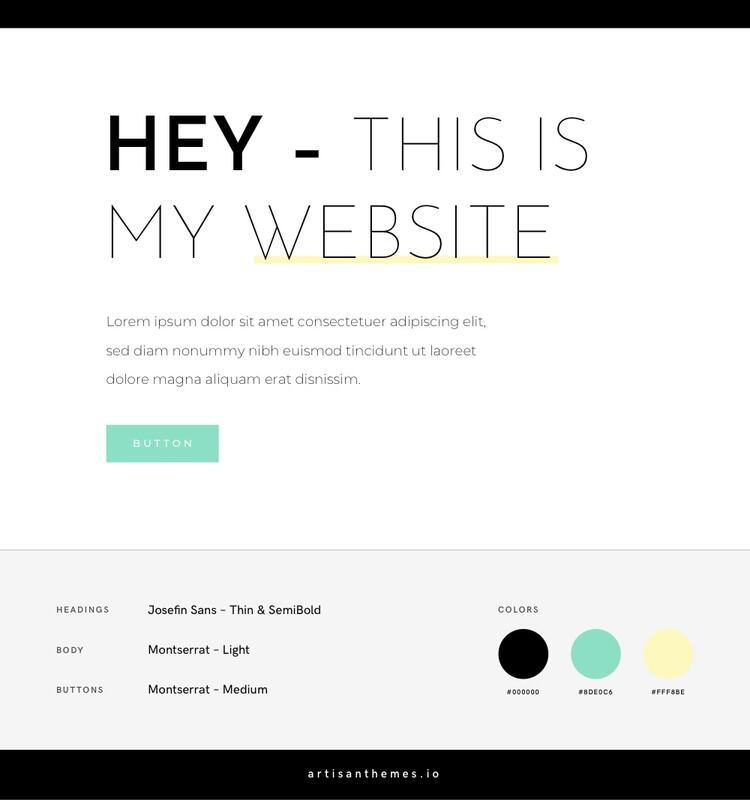 Use it for a lifestyle magazine website or a trendy modern business. Your audience will love it. Bright and sharp. Simple but powerful. A combination with a lot of white space, solid typefaces and a vivid eye-catching accent color. This one is suitable for a solid, assertive and confident business or blog. If high-contrast, eye-catching and vibrant design if what you’re after, this combination will do it. 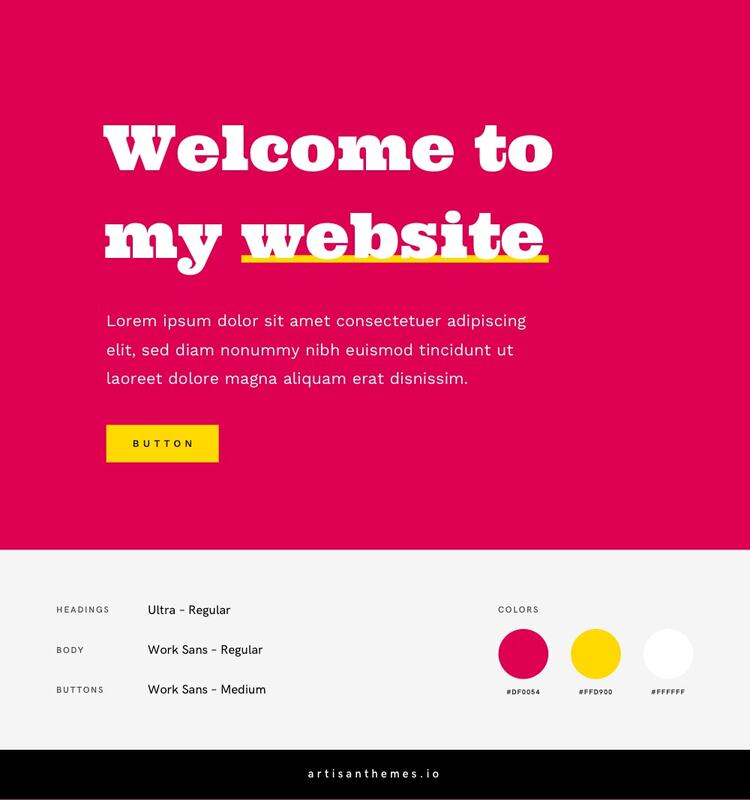 The Ultra font and these bright colors will make your website wild and bold, while Work Sans will do the job of balancing the whole thing and keep your website clear and aesthetic. Enter the more traditional and calm combination. A beautiful serif font for the headings, combined with a subtle and warm color palette. 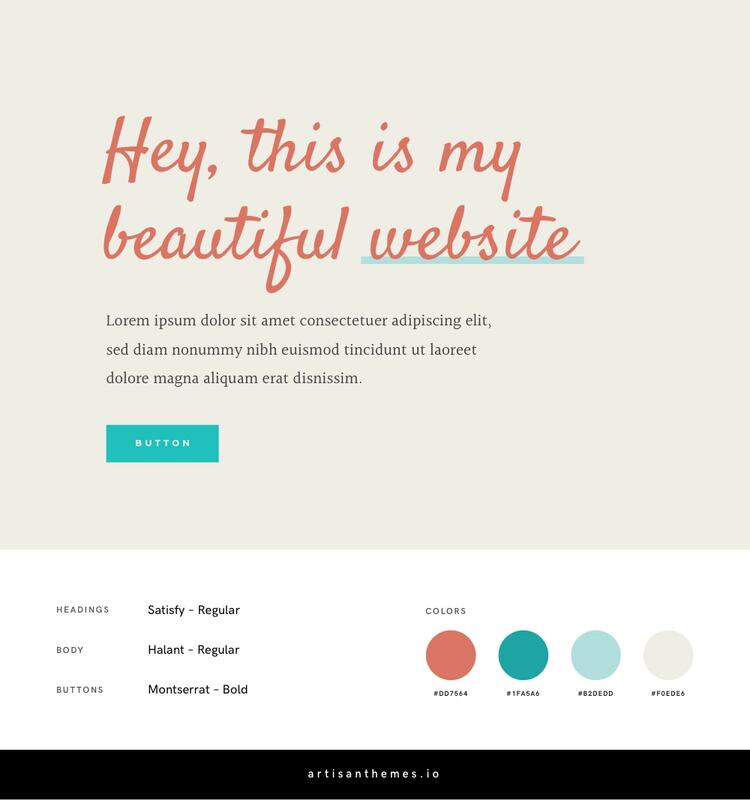 It will make your website look refined and elegant. Two of my favorite Google Fonts together, what a pleasure! 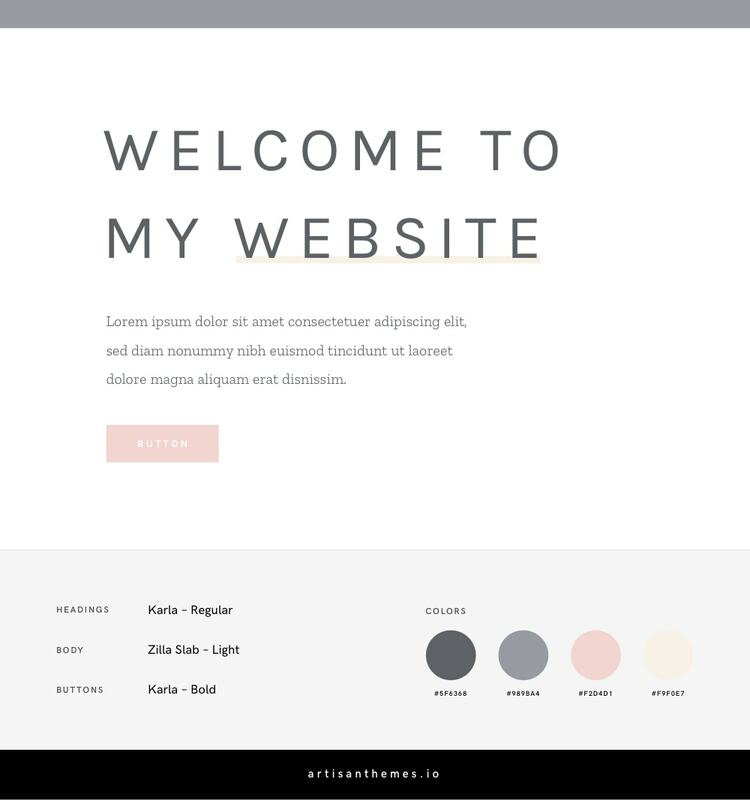 Use them with this color palette and your site will look luxurious, trendy and exclusive. Now, to a friendly-er combination. I must confess, I’m not a fan of the script fonts available in Google Fonts. And I also don’t think a script font is suitable for all the headings on a website. Why? Because its strong personality makes it less legible and also because it might fatigue your readers. But I thought I can make some of them work. And this is the case for Satisfy, a script font with a friendly personality. This combination is joyful and sweet. And it uses Halant for the body and Montserrat for the buttons, to equilibrate Satisfy’s unique presence. Montserrat may be one of the most gorgeous and versatile typefaces in the Google Fonts collection. According to which weight you use, or if in all caps or lowercase, you’ll get totally different results. 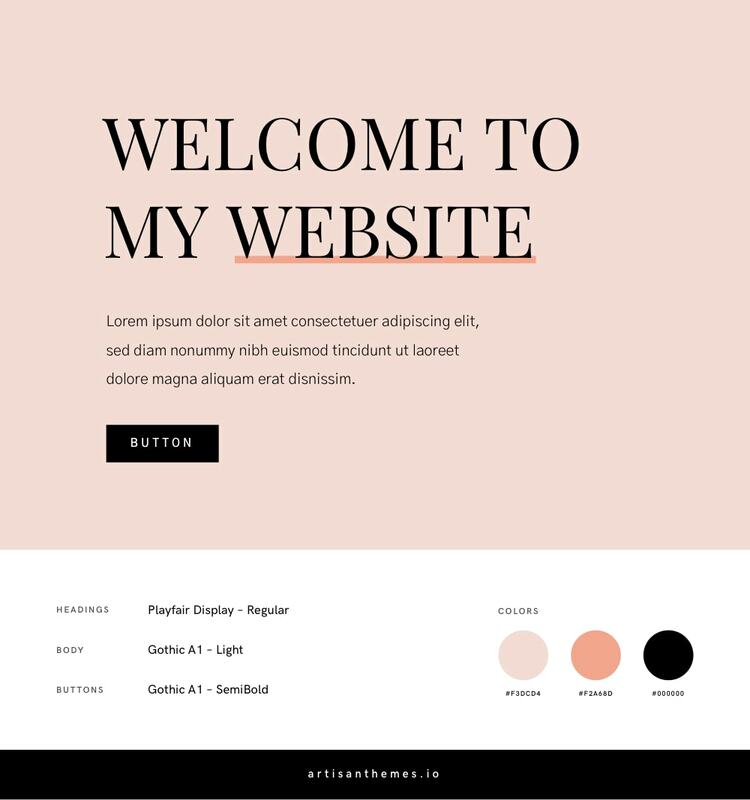 Together with the refined Josefin Sans and a very trendy color palette, you get a this combination to use if you want to achieve a contemporary and cool feminine website. Libre Baskerville is a beautiful serif typeface that can serve both headings and body text. In this case, by using the bold weight for the headings and the regular one for the body, we get a harmonious and solid combination. Then Work Sans comes in handy for the buttons. And the color palette gives the final touch for a classic, confident look and feel. Here’s another combination using a script font. In this case: Dancing Script, a casual font with delicate curves. Open Sans complements it perfectly. If you prefer a more naive and pretty style or maybe a “spiritual” appearance, then grab this palette with these fonts and you’re done. 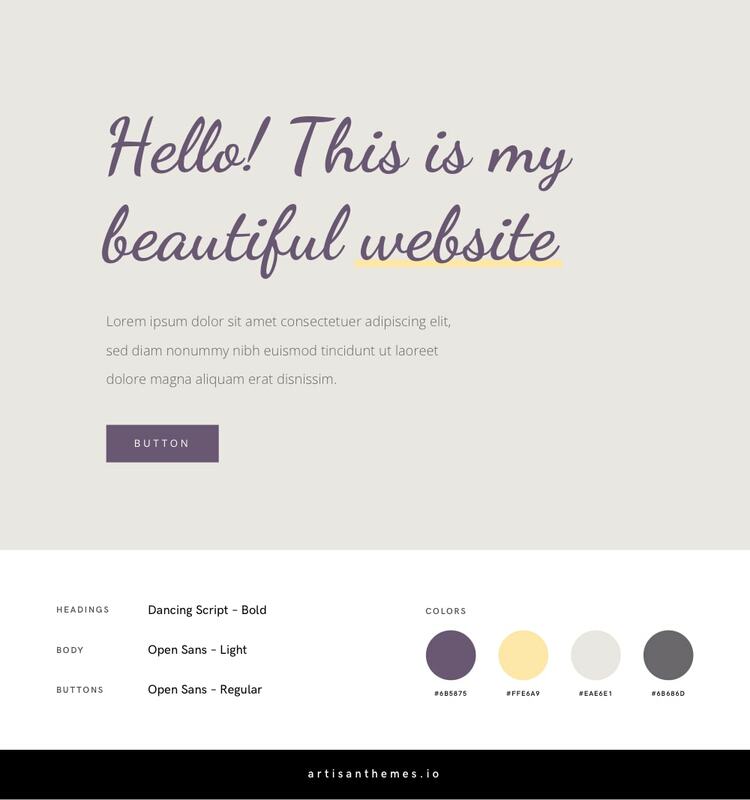 It will perfectly fit a website for a spa, a beauty salon, a flower shop or anything in that tone. Karla is something special. One of the most beautiful and cool sans serif typefaces you’ll find in Google Fonts. This time used in all caps and with a slight letter spacing. Put it together with Zilla Slab’s smooth curves, a soft color palette, and you’ll get this sophisticated style you’re looking for. 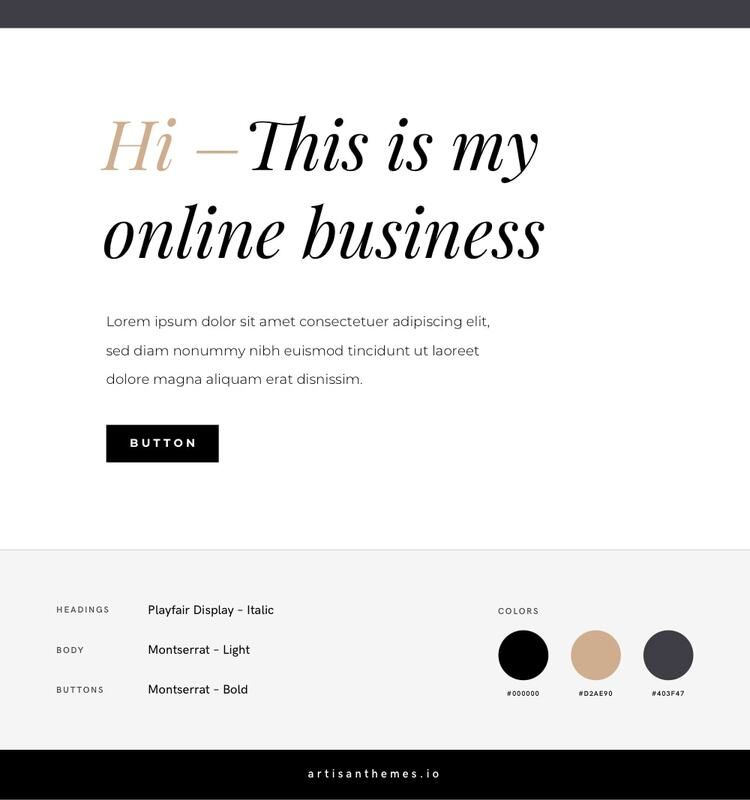 * See this font combination in action in this ready-to-use feminine website for a solopreneur. Earth colors and a rounded wide serif font? Be prepared for a warm harmonious website. Suitable for a brand that cares for wellness, or nature. Or for body-care related businesses. This combination is modest, elegant and classy. Suitable for an institution, a traditional wedding website or an NGO. It uses the Cormorant family in its different variants and a clean and muted color palette. 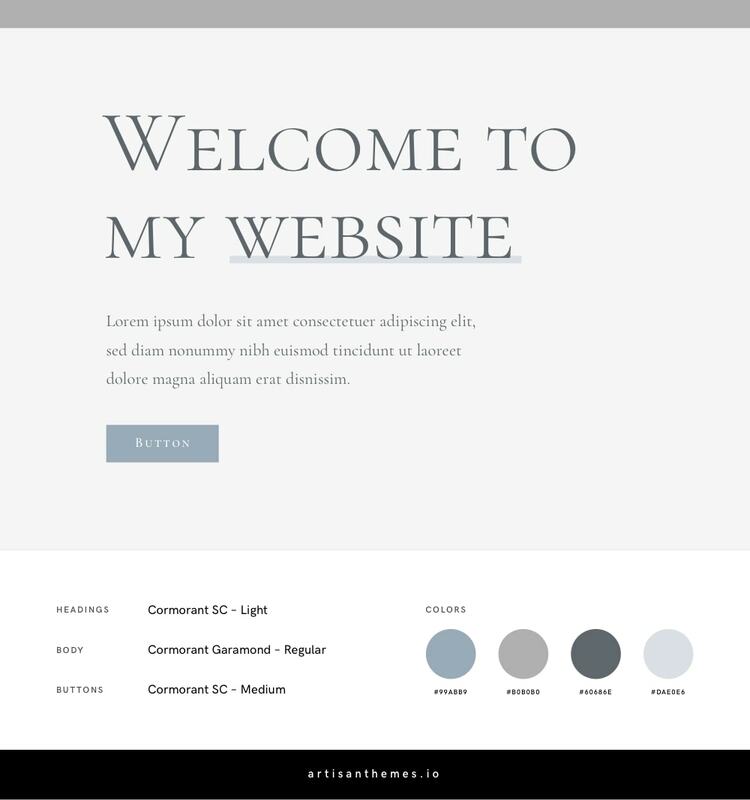 * Check this font combo in action on this Artisan Site for a Wedding website. I like the vibes from this combination. It’s fresh, youthful and bright. We already combined Josefin Sans and Montserrat, remember? But this time, by alternating their roles, using different weights and adding different colors, we get a totally different look. 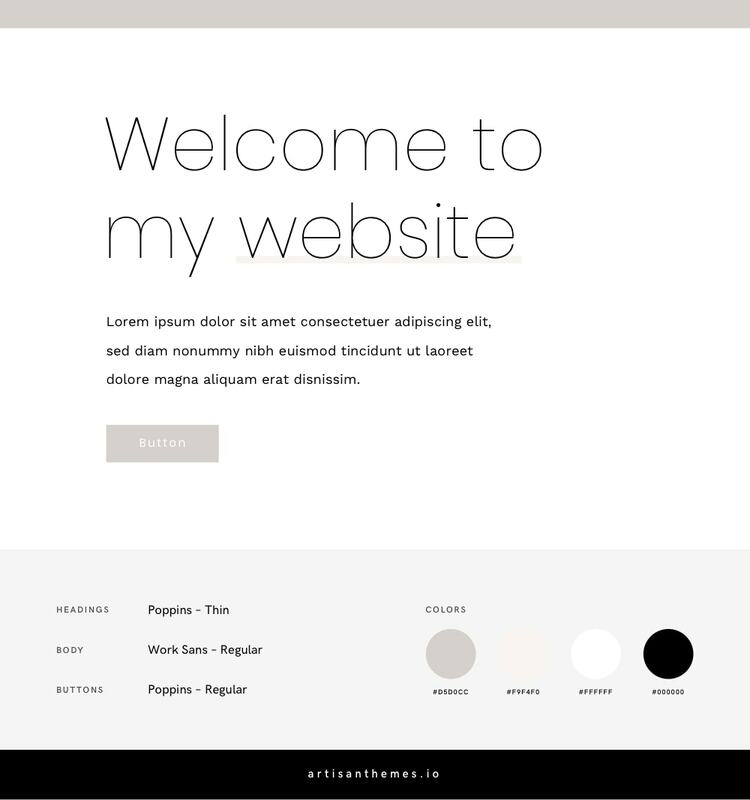 * You can see this font combination in action on this Artisan Site by Artisan Themes: Lifestyle. Neutral colors with clean, geometric and refined typefaces. They make an elegant, neat and exquisite combination for a high-end business. 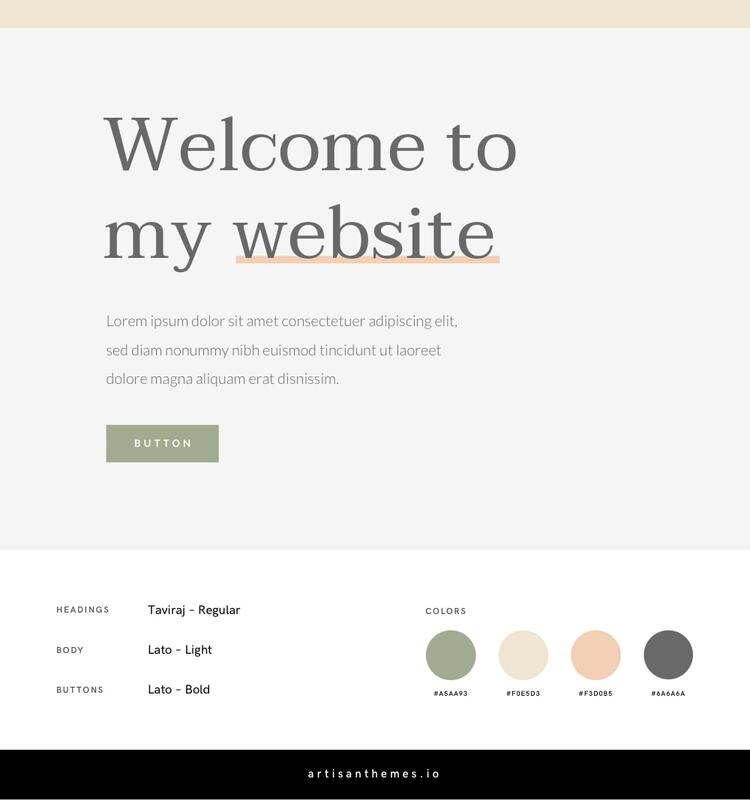 * See this combination in action on this Artisan Site by Artisan Themes: Deco. This final combination is like candy: attractive, joyful, positive, energetic. 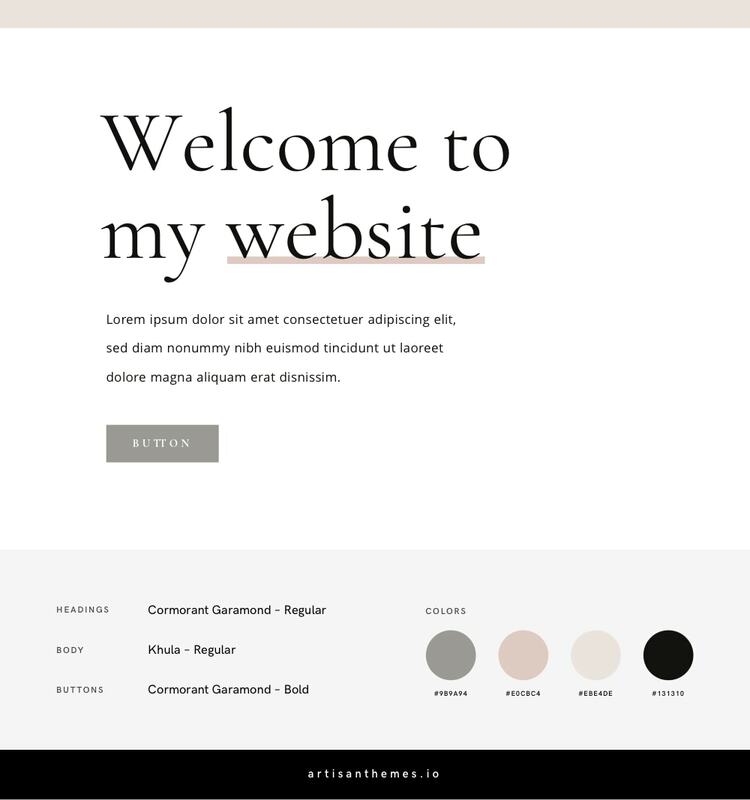 The boldness of Archivo with the classical PT Serif will make your website look creative and vivid. Use it for your blog or personal site and you’ll make your visitors smile. 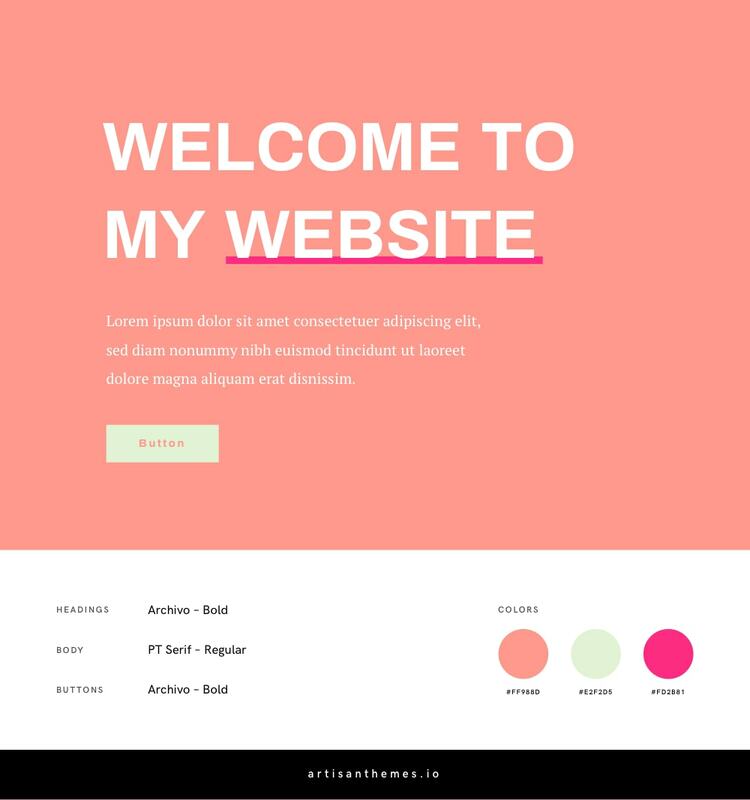 * Take a look at the color palette in action on this Artisan Site by Artisan Themes: Foodie. I hope so! And I’d love to see how you applied it on your website. If you want to see even more combinations, take a look at this post. 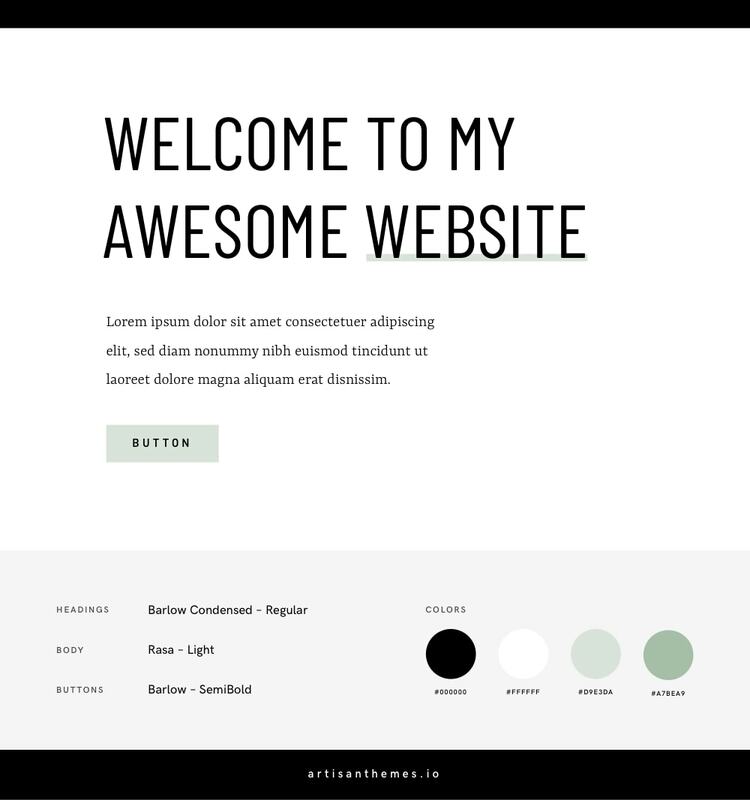 You’ll find there 10 ready to use Google Fonts combinations for modern websites.